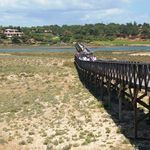 More famous for its sun sand and golf courses in the UK, the Algarve has a rich culinary history with diverse influences from its former occupiers. 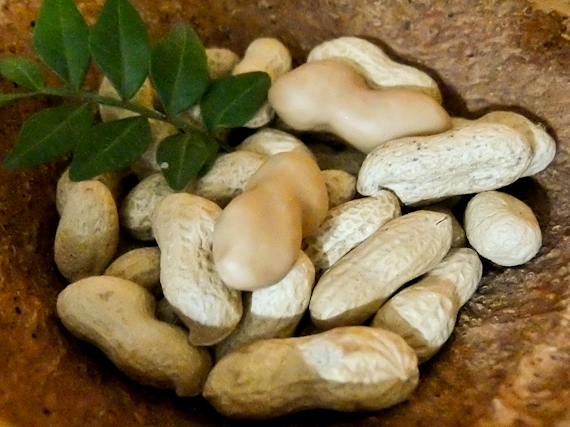 Phoenicians, Romans and Moors all contributed to the region’s larder bringing figs, olives, carob almonds and spices including cinnamon, cumin, aniseed, nutmeg, mint and coriander. Add the fact that its long coastline delivers a large variety of the freshest seafood and you should be already salivating. I start in the capital, Faro, often overlooked as tourists head for the beaches rather than exploring the historical walled centre. 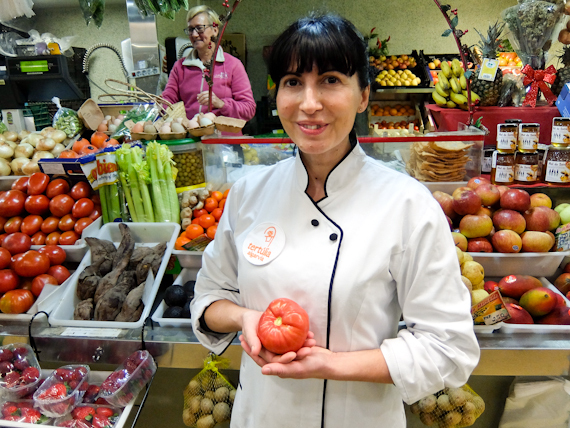 The market is a real foodie goldmine and I’m joined there by Doris Beicinho the chef of the Tertúlia Algarvia restaurant. 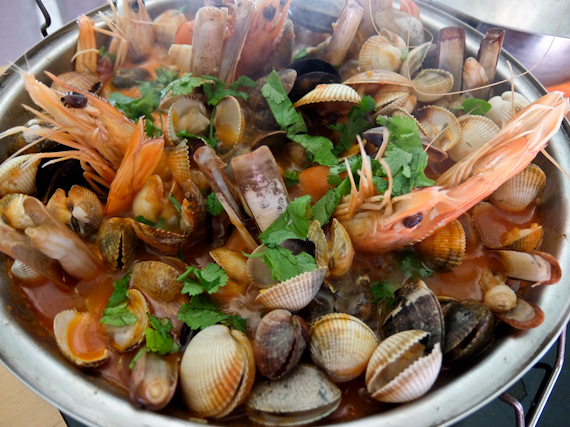 She’s promised to teach me how to make Cataplana, the archetypal Algarve seafood stew. There’s a wondrous array of fish on sale and she selects prawns, cockles, mussels, clams and croaker fish along with chorizo, green and red peppers, onions, tomatoes, coriander and thyme before we head back to her kitchen. Waiting for us is the special Cataplana pan, like two woks sitting on top of each other with a hinge on one side and a clasp on the other. She explains that it works in a similar way to the Tagine, from North Africa, the stew quietly cooking in the bottom with the steam condensing on the top and falling back down. 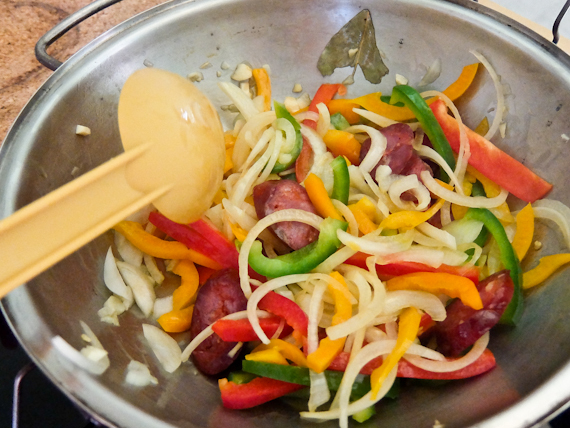 Taking great care, I chop the vegetables as she gently fries the sliced chorizo in olive oil with chilli and garlic. We then add my veg and stir it for a few minutes before adding tomatoes, white wine and fish broth. After it sizzles, I add a sprinkle of paprika and some pureed tomato before and chunks of the fish. Five minutes later it’s time to throw in the seafood, wedging the prawns vertically, adding thyme, lemon juice, salt and pepper. After only eight minutes, it’s ready to eat, garnishing with the chopped coriander, and of course, it’s delightfully full of flavour. 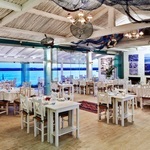 On one of the offshore islands in the river estuary, there’s another restaurant which specialises in seafood. It’s a short speedboat ride to the Ilha Deserta where the distinctive shape of Estaminé nestles among the dunes. There’s a beautiful unspoilt 7 km beach but I’m here for the fish. Oysters from nearby Ria Formosa, Cavalinhas, (marinated mackerel filets in salt and lemon), Muxama, (thinly sliced dried tuna), and a bowl of steaming clams in olive oil, garlic and coriander are good for starters. Then a whole turbot, grilled to perfection over hot charcoal, is filleted at the table and served with potatoes. In the hills above Faro, Monterosa decided to replace their orange groves with olive trees after a three-year drought started in 1997. They planted 20 hectares with four varieties, Verdeal, Maçanilha, Picual and Cobrançosa with the idea of producing the finest quality. The olives are harvested by hand and immediately taken to the press where they use a granite stone, a traditional method updated with modern technology. The oils have less than 0.1% acidy and are bottled according to variety. A tour here includes a guided tasting – Verdeal is the softest and Cobrançosa is the most peppery with the others somewhere in between. Around 20km North West of Faro is the Quinta da Tor winery, only established in 2011 and now producing 78,000 litres last year. 90% are red, using Touriga Nacional, Sirah, Cabernet Sauvignon and Aragonez grapes, and 10% are white from Siria, Arinto and Chardonnay. These are not particularly impressive but the reds, aged for a year in oak, are exceptional value with most under 10€. I’m staying at VILA VITA Parc, in Porches, slightly east of Portimao which has six bars and ten restaurants. There’s a great sense of space here and they provide a splendid breakfast on the terrace overlooking the sea. I’m looking forward to a meal at their Ocean Restaurant where Chef Hans Neuner has two Michelin stars. As you might expect there’s huge attention to detail, and the menu plays to the strengths of the Algarve. 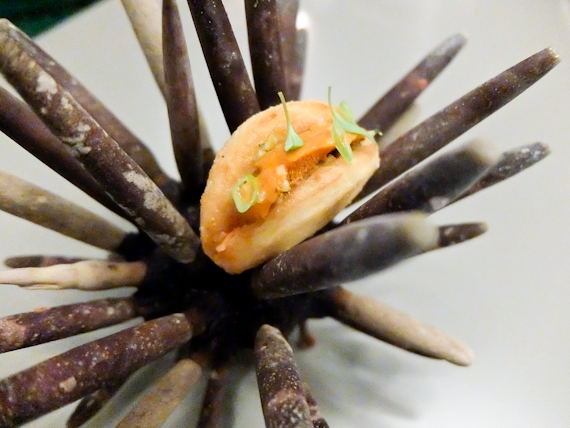 A bao bun filled with carrot and sea urchin is a great way to start, then razor clams, sea snails and squid follow. I like the large scarlet prawn, cooked in a tomato and artichoke sauce, paired with its sashimi cousin. Next night I eat at Bon Bon restaurant in Carvoeiro, just outside Portimao. 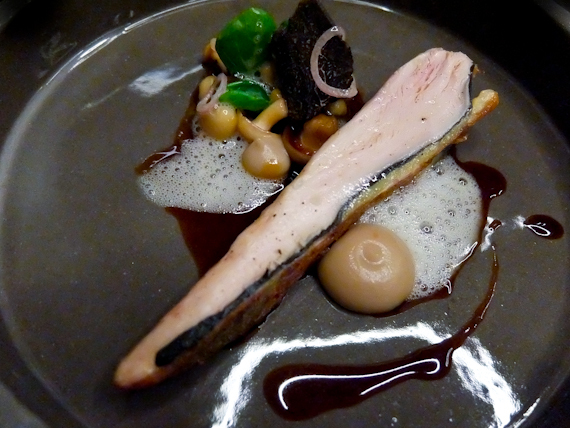 Chef Louis Anjos has one Michelin star and his food is a modern twist on the traditional. We start with his visual jokes – what looks like walnut is actually a piece of moulded goat cheese and the peanuts are chicken mousse. Then we’re into the seafood, with cockles, razor clams, dried octopus roe and mussels all featuring. Blue lobster, cooked for 50 seconds, comes with tangerine, beetroot discs and seaweed and tastes as good as it looks. A piece of red mullet, topped with a slice of Iberian ham and salsify rests on a sauce made from the fish liver. Meat arrives in the form of a fillet of Alentejo black pig, surrounded by tiny Algarve root vegetables. There’s a surprise ravioli, stuffed with chanterelles, before a veal steak, cut from an Arouquesa cow, from the north of Portugal. It’s served with red cabbage, and purees of turnips and cabbage. Desserts include a yuzu sorbet with shaved coconut and then pineapple, praline of chocolate, coriander sorbet and rum sponge, all artfully arranged. I should add that each course has been accompanied by matching Portuguese wines and there’s a final glass of twenty-year-old tawny port to send us on our way home. On my last day, I meet António Guerreiro, who runs Eating Algarve Food Tours, at the Columbus Bar in Faro. 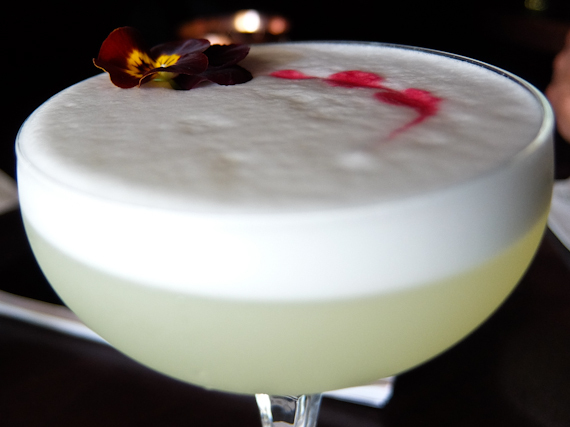 He introduces me to a special Algarve cocktail called Amarguinha Sour which, as well as the local liqueur made from bitter almonds, also contains lemon, sugar, and egg white. He’s passionate about the food of the region and has devised special walking itineraries around the city as well as wine tours. I’ve eaten well in the Algarve in the last few days, so it’s easy to understand his enthusiasm. Visit Portugal has information about the country. 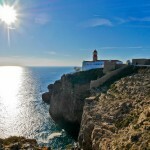 EasyJet has direct flights from London Gatwick to Faro. Animaris runs boats to Ilha Deserta from Faro. VILA VITA Parc Resort and Spa in Porches makes a luxurious base and is a member of The Leading Hotels of the World. 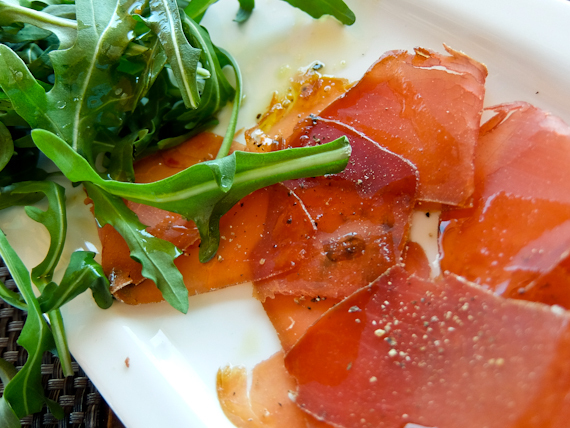 Eating Algarve Food Tours can arrange bespoke itineraries. Tertúlia Algarvia in Faro gives cooking courses for Cataplana. Vila Adentro, next door, has good local dishes. 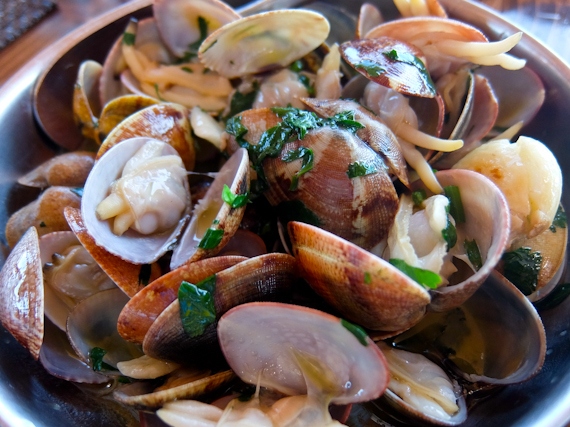 Estaminé on Ilha Deserta serves the freshest of shell fish. 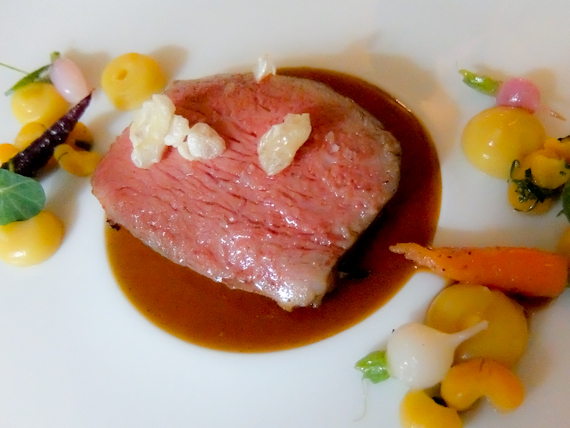 Ocean Restaurant has two Michelin stars. Bon Bon Restaurant in Carvoeiro has one Michelin star. Monterosa olive mill gives guided tastings. 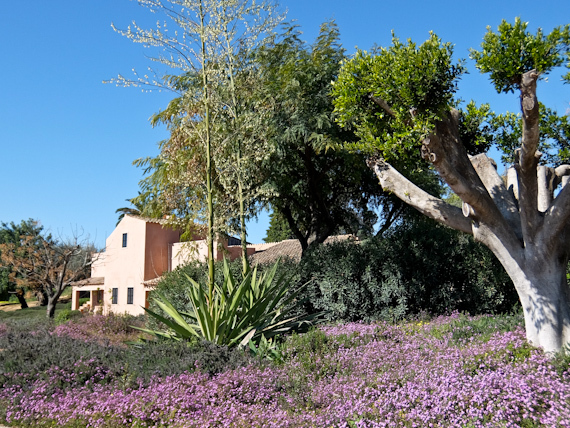 Quinta da Tor winery offers tours and tastings.